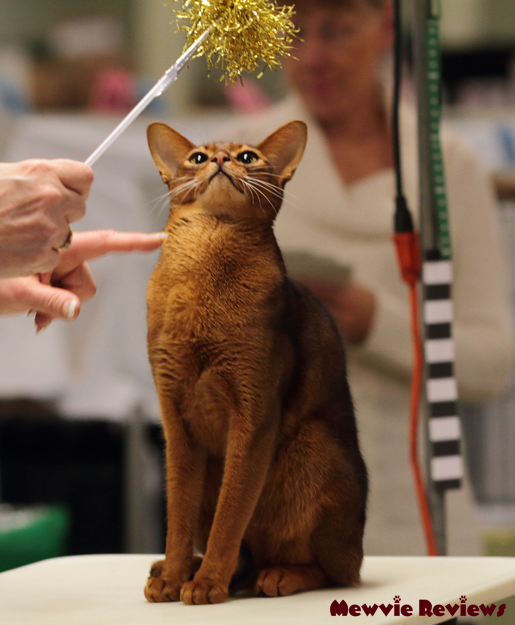 The San Diego Cat Show, officially titled “Food and Water Bowl XXV,” held January 28th and 29th, hosted more than 450 cats from all over the United States. It is touted as the largest cat show in the Western U.S. The competitions for Best of Show featured more than 40 different CFA breeds as well as separate competitions for Kittens and household pets. With competitions going nonstop throughout both days, it’s easy to be constantly entertained. If you tired of watching championship longhair being judged in ring 7, you could hop over to ring 2 and watch shorthair kittens ages 4-7 months. Or you could just stroll through the aisles of cats and kittens in their carriers or out for “Pet me” encounters. Have you ever felt the fur on a Selkirk Rex? It feels like a woolly lamb! Many beautiful pure bred kittens were for sale. 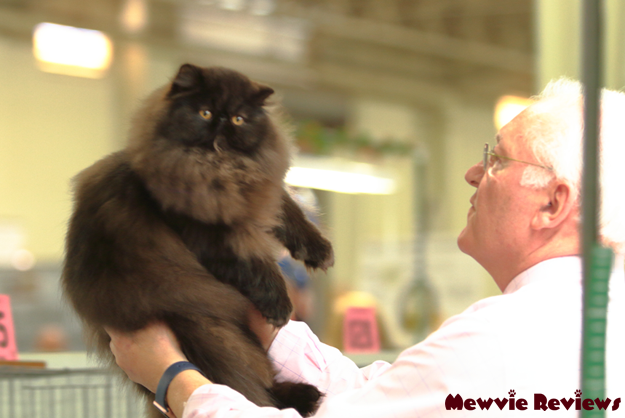 You could also watch the cats being groomed for competition and get tips from their owners on cat grooming. 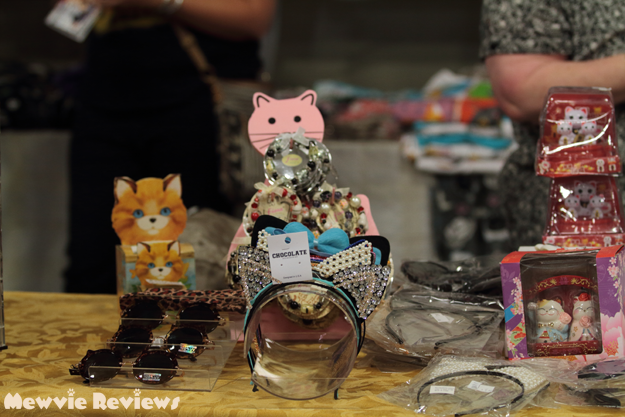 If you weren’t in the market for a kitten, you could browse through the displays of various vendors selling products for your cat or items for the discerning cat lover like cat-covered clothing, cat jewelry, purses, or pretty much any other item you might want. This year featured more than 40 vendors. In the Education ring you could find out about your favorite breeds of cats or meet a genuine celebrity movie-star cat! (Mr. Fuzzypants from the movie 9 Lives.) This writer also ran into the proud owner of the two cats who mowed down the town in the Big Kat Kit Kat Commercials. The cats get to show their athletic prowess in the agility ring, which goes on periodically throughout both days. Catch it when you can. Along with featuring the most breathtakingly beautiful cats you will ever see in one place, the San Diego Cat Show has a heart of gold. Local shelters showcase cats for adoption by the public. By 2:00 pm on Saturday, just four hours after the show had started, 15 rescued cats had already been adopted. Watch for next year’s Food and Water Bowl at the beginning of 2018!